Hi, hackers! This week, it was particularly hard to select only 5 items. The hacker community is so prolific these days! But we had to choose, so other interesting findings of this week will probably appear in our next newsletters. Now, here is our weekly selection, take a comfortable seat and enjoy! This is a nice example of how to exploit a SSRF. 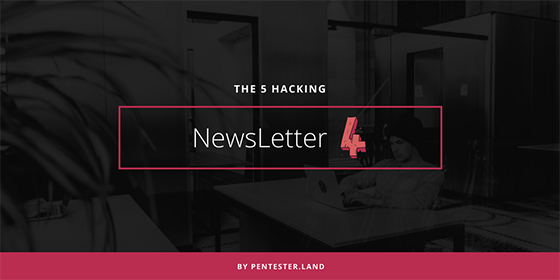 If you are learning about this vulnerability type, it’d be helpful to dissect the article and add all the tips and steps to your methodology. This site is a “Hacking conference archive”. It gathers presentation videos and slides from a lot of conferences, documentaries, podcasts and also rainbow tables. 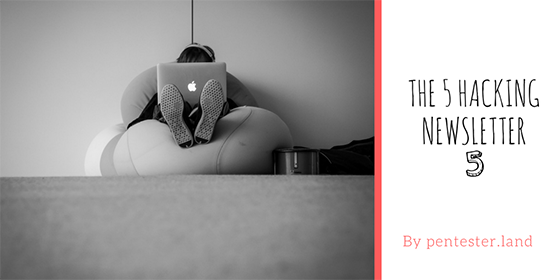 I love going through it to discover new conferences and talks from around the world! 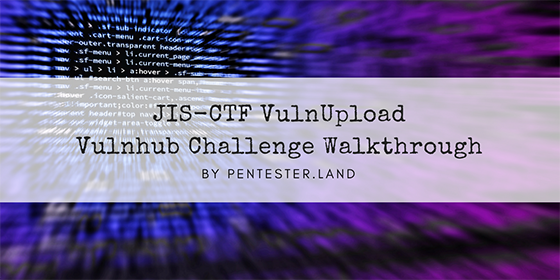 This is my walkthrough of JIS-CTF VulnUpload, a beginner boot2root challenge. Although relatively easy, it is a nice opportunity to train your skills and sharpen your tools. 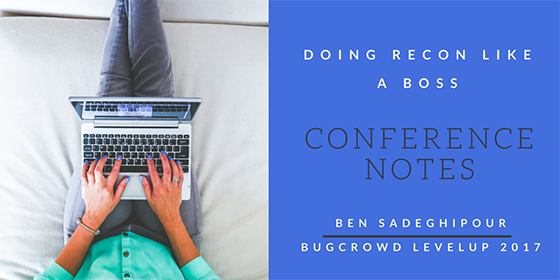 Hi, these are the notes I took while watching the “Doing recon like a boss” talk given by Ben Sadeghipour (@nahamsec) on LevelUp 2017. [UPDATE] I modified these notes after watching the updated version of this talk: “It’s the little things” by Ben Sadeghipour & Jon Bottarini (Disobey 2018). 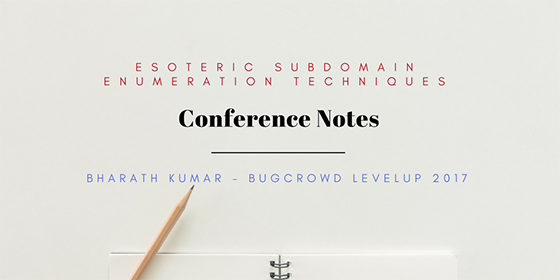 Hi, these are the notes I took while watching the “Esoteric subdomain enumeration techniques” talk given by Bharath Kumar on LevelUp 2017.